You can get McDonald's pretty much anywhere in the world, but you can't get all the world's McDonald's menu items just anywhere. Other countries get their own special options, and until now, the only way to get your hands on them has been to travel to those countries -- and a plane ticket to Australia is probably not worth a side that costs a few bucks. A flight to Chicago, however, might be worth it. 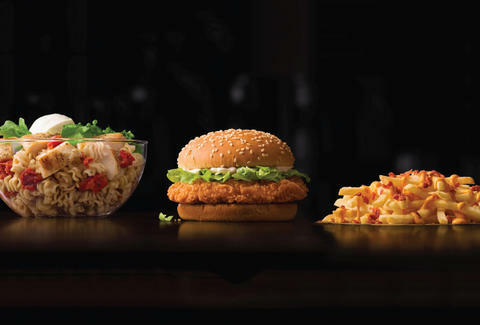 Opening this Wednesday, McDonald's new HQ location in Chicago's West Loop will be the only place in America where you can get special menu items from all over the world. These items will rotate every few months, which gives you plenty of time to get your hands on the first batch. There'll also be a Latin American-style dessert center with desserts from that region, plus an Australian McCafé area with baristas serving flat whites. The HQ location takes up the first floor of McDonald's new headquarters, totaling a whopping 6,000 square feet. It's one of the company's Experience of the Future (EOTF) restaurants, with features that McDonald's hopes to showcase at nearly all its locations by 2020. These include outdoor seating, table service, mobile order and payment and McDelivery with Uber Eats, plus touchscreen kiosks for ordering. But while the futuristic ordering is cool, it's not nearly as cool as new McFlurry options.